Here I would share the pattern detected by the PRS and the trades I would do based on them. This is not real trading because I am evaluating the software. The hypothesis is that it can be a valuable tool for the pattern trader not in the sense that it will replave the discretionary analysis but in the sense that it will help you with the timing. The key is that even if the spread is bigger in the other pairs the prability of success and the profitability in the other pairs match the major pairs. With that fact in mind it makes sense to scan the entire forex for patterns. The patterns in this software are detecting what I would call decision zones. In those zones a decision has to be make, the scenarios are clear but the overall direction may not be. So there are different strategies and that is why the whole thing is not that easy. -to aim at the take profit. Those levels are not given directly by the PRS. However in the same package there is another tool that predicts the future volatility. That tool could be used in order to define stop loss levels. The tool is calles autochartice power stats. Another tool in order to have levels where to place the stops is the Oanda open orders. It is possible to use your own discretionary analysis for technical levels in order to place there the stops. So basically there are different ways to do that, and I do not know which is the best. So I am going to experiment with that and look what may work for autochartist pattern recognition tool trading. I am not affiliated in any way with the PRS and Autochartist team and with IBFX. Those tools are free for use but they are not open source. What you need to get started? The basic description of the project is given in the blog post. You need to install a Metatrader 4 demo account of IBFX unless you are their customer. For Alpari customers the PRS is also available. The good thing is that this demo never expires. When you install the demo you need to open a chart and within the chart to click on the custom indicator Autochartist- IBFX. It will not work if you are not a customer. However if you persist try to do it 5 times, there is a bug in the system, finally you will have access to the system. The IBFX - PRS is another tool, it gives you information within the chart, however it is a delayed version (does not make sense to use it). 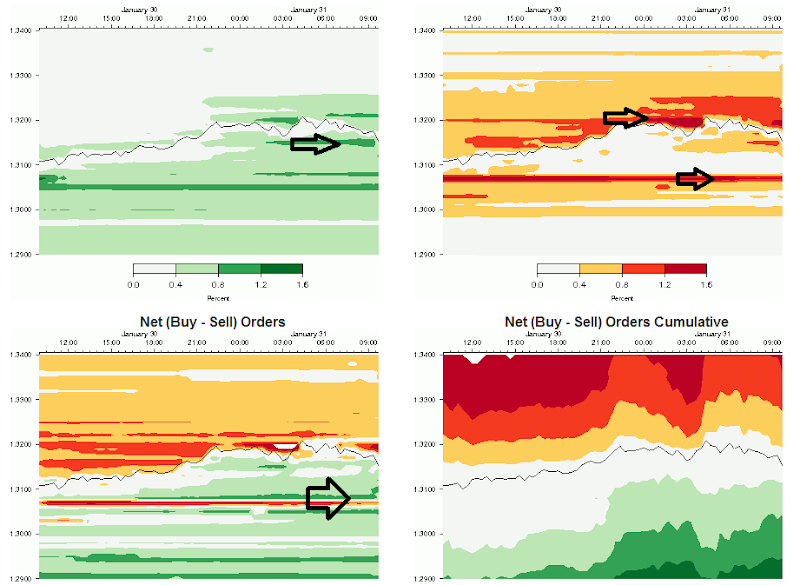 In the previous version of MT4 that was the bug because the software was not giving access to the major pairs but the IBFX - PRS was giving access to all visualiations, but they have fixed that. And there is a stand alone application. With this application you have all the scanning capacity but if you are a demo you are limited with the patterns you are allowed to vizualize. The pattern you can visualize are with bolded characters. Here you can see how woud look like your working space. Here I would add an example from today form a pattern detected by autochartist on EURAUD. To tell you the trouth I never monitor EURAUD as a pair. It is so exotic to me. However the scanner saw an opportunity. And as the project is about real testing I took the trade to see what is going to happen. I closed the trade manually a few pips before the take profit level, but quiet nice. On this pattern I was a late, the optimum entry was earlier in the morning. As you can see the autochartist is not giving you stops, it is not built for that. There is another tool for forecasting the volatility however I preferded to use technical levels for that. Here I add another example of the PRS scan. In fact the timing was good very good. However my decision was to trade into the other direction not in the direction indicated by the autochartist. I add also an Oandian chart. You can see that thanks to this chart I was able to see that the technical support was confirmed by a accummulation of orders so when they were activated I was thinking that from a discretionary point of view that would be a shorting opposrtunity with a tight stop. Autochartist and PRS (Price Pattern Recognition) are in fact the same thing as far as I understand. Is there any success stories out there for the use of Autochartist in the trading? Autochartis nowadays is a prominent software for authomatic pattern recogntion and scanning of Forex pairs. Yes of course the idea is not to replace the human eye, but you really can't scan all the Forex pairs. On the other hand according to the statistics of Autochartists (PRS), not only the major pairs are giving good probabilities of success despite the higher spread. I think it is better to trade patterns with Autochartists on different pairs than to take impulsive trades on EURUSD. I think this is an important project despite the fact ot was not my priority lately.